The Phaeton Helios has been found in Mexico! Don’t let that price discourage you fans. That price is in Pesos. 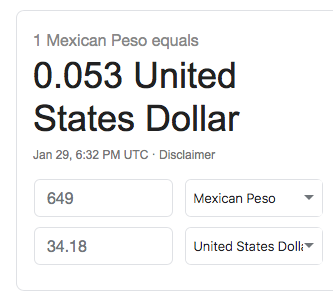 The cost when converted to U.S. dollars is just over $34. (See conversion below. 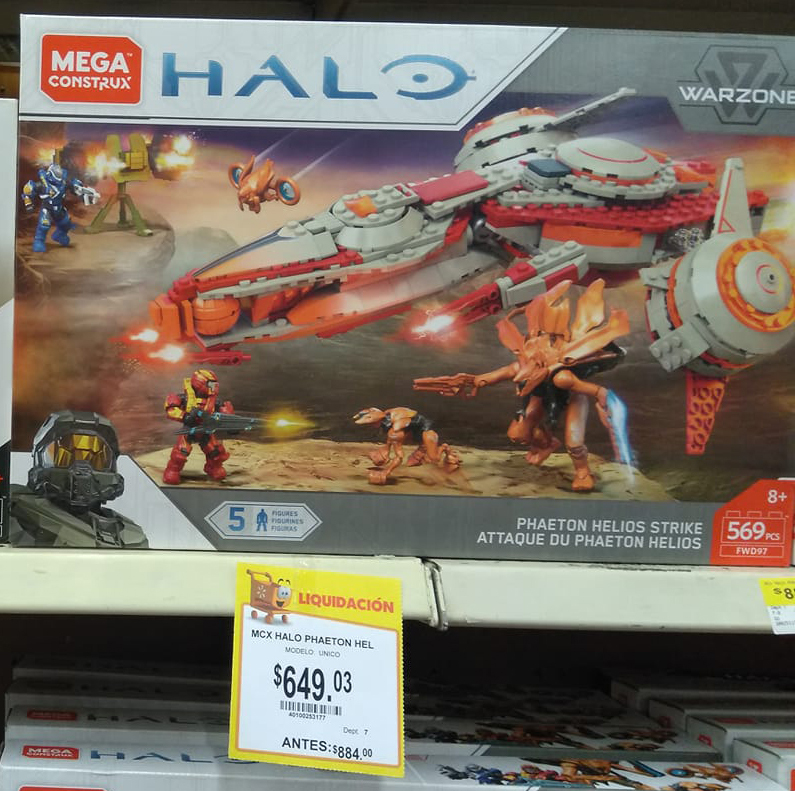 Also found in parts of the U.S. are these two Armor packs. I edited the original pics so as to see the box art more clearly, brighter and in box alignment. 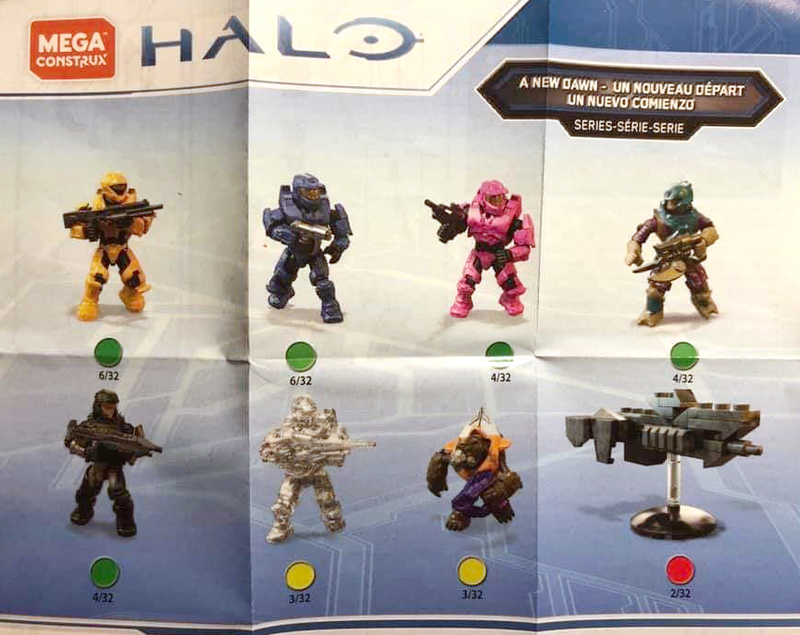 A new Blind Bag series has been revealed! 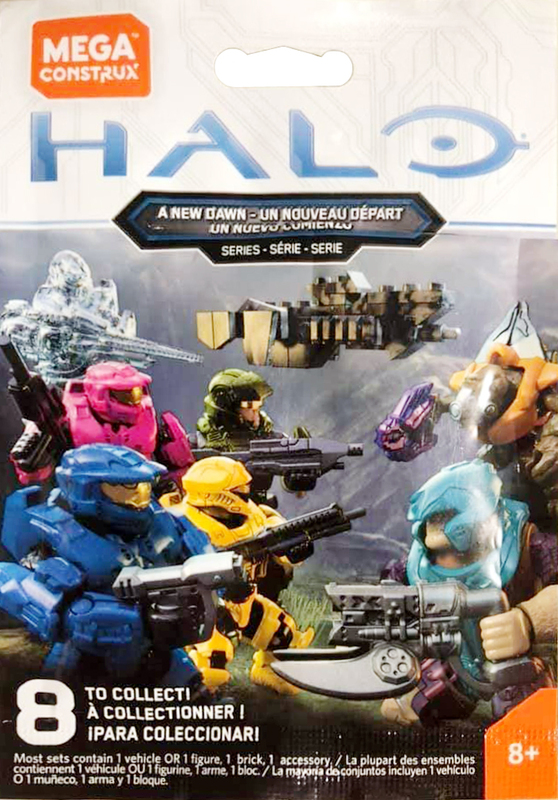 “A New Dawn” features figures from Halo 3’s campaign and it’s multiplayer. You can see below that we get a Yellow Recon, Blue Mark VI (Gen 1), Pink Mark VI (Gen 1), Brute Minor, Marine!!! 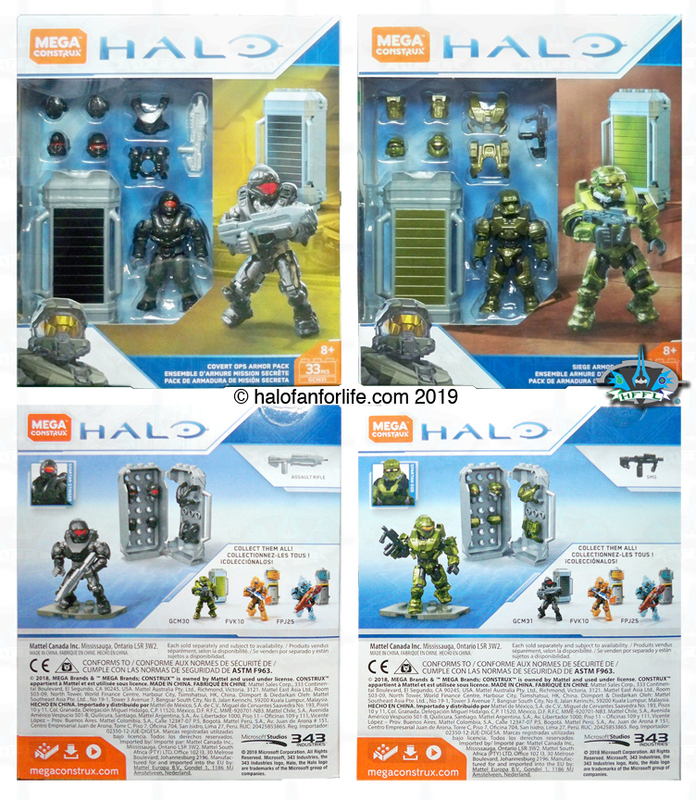 !, Active Camo Spartan, an Orange Grunt Minor and the classic style Forward Unto Dawn micro ship! This series is bound to be popular with army builders for the Marines and Grunts. I for sure will be stocking up on them! The Blue and Pink Spartans are a nod to Red Vs Blue. I’m always happy to pick up a Pink figure. They are rarely put into the Mega line. That Recon looks AWESOME in that color. Of course I’m excited for the active camo spartan. You all know I love see-through toys! And YES! The Forward unto Dawn. As it SHOULD be. I still hope that some day we get that ship in a larger format.